A flatting coat is applied to the polished okumè planks to seal them and make them shiny. 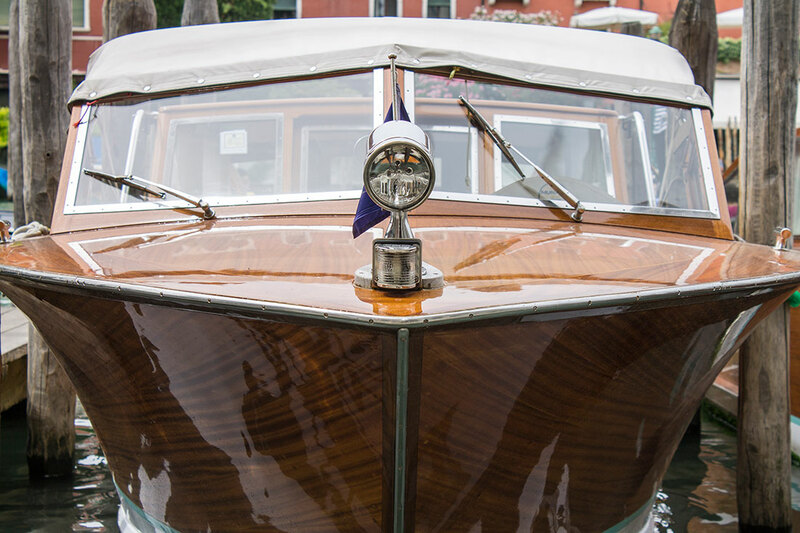 This is the same process used for motorboats; it is meant to create the same mood and allure of a Venetian taxi. where the planks will be fixed. 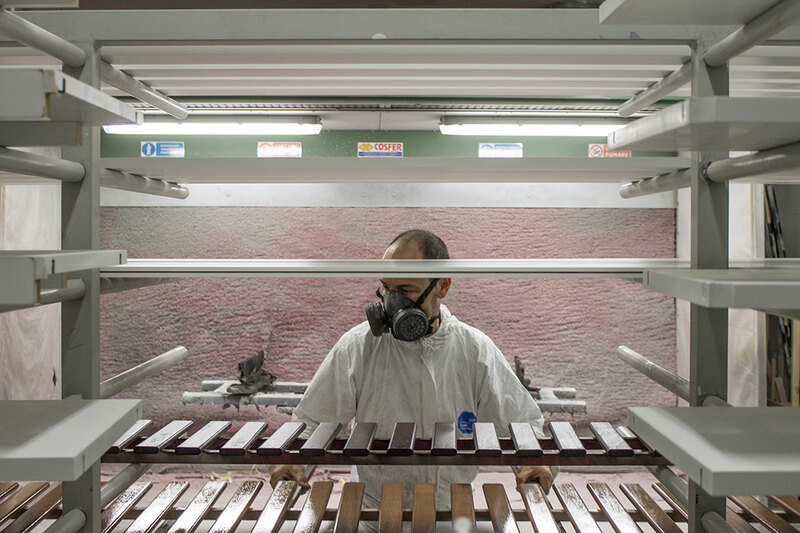 The corners of the planks are rounded by hand from okumè panels and are treated with a primer to obtain the color base. 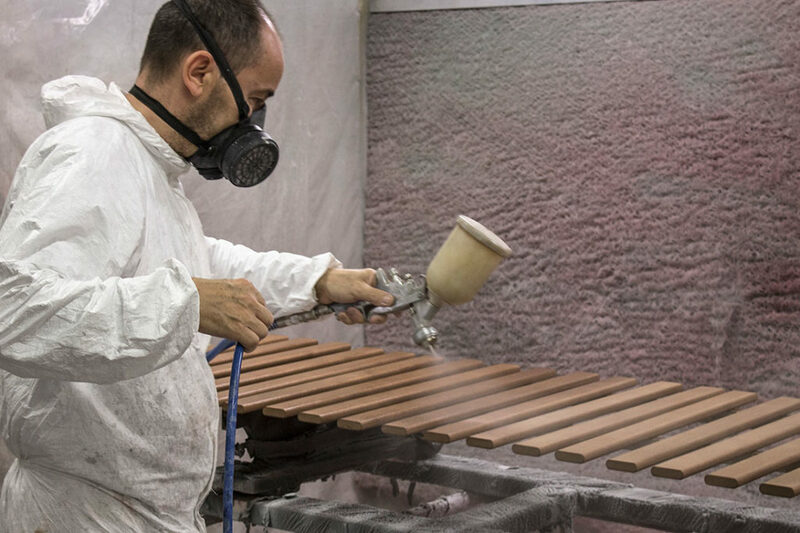 In a forced-ventilation room the planks are placed on a cart and varnished with many coats of shiny-acrylic paint. Colors and solvents used in the process are carefully monitored during preparation and application. The vapors are channeled before being disposed of. 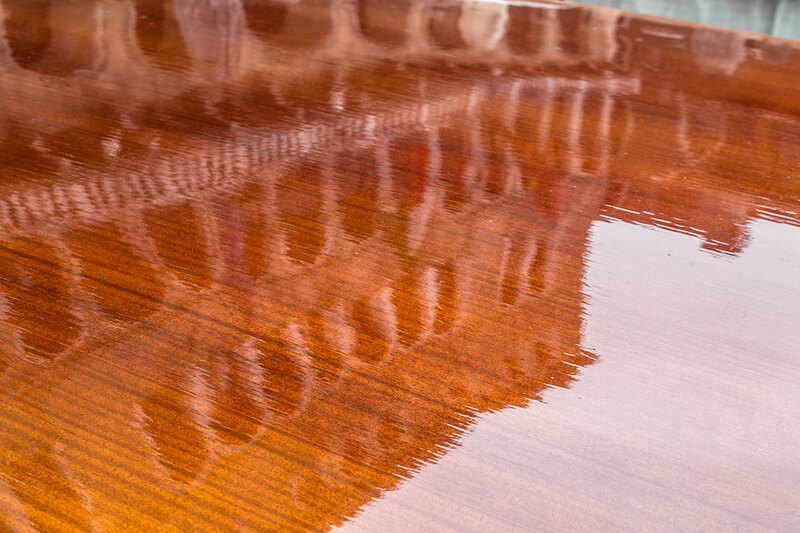 Once dry, the planks are fixed to the holes previously created by the electronically-driven drill.